PremiumSportsCenter: TOO BAD! LIVERPOOL SACKS KENNY DALGLSIH. TOO BAD! LIVERPOOL SACKS KENNY DALGLSIH. Kenny Dalglish has been sacked as Liverpool manager. The decision come just two days after John W Henry and Tom Werner held a showdown summit with Dalglish. Owners Fenway Sports Group stressed that the decision to remove Dalglish "was not reached lightly or hastily" and that the search for a new manager would begin immediately. Werner said they had made a tough decision to remove a man who is held in such high esteem at Anfield following his exploits as a player and manager in his previous spell in charge. Alan Pardew is among the early contenders for the post along with former Chelsea boss Andre Villas-Boas and Wigan manager Roberto Martinez. 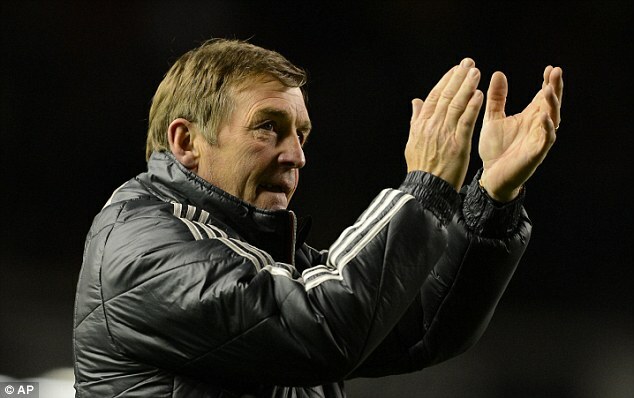 Dalglish returned to manage the club for a second time in the wake of Roy Hodgson depature in January 2011 initially on a caretaker basis until the end of the season. After a strong finish to the season he was made permanent manager on 12 May 2011 on a three-year contract, but has been unable to carry that momentum into the new campaign. Dalglish's second stint in charge at Anfield also proved controversial at times. The Scot defended Luis Suarez in the wake of the striker's ban for racially abusing Manchester United defender Patrice Evra when the teams met in October. After the Uruguayan's apparent refusal to shake Evra's hand in the return fixture in february, an apology from both player and manager came only after the intervention of the US owners. Dalglish, who has won nine league titles, three European Cup trophies, three FA Cups and five League Cup triumphs during his combined 15 years of service as a player and manager at the Liverpool is the latest in a series of high-profile departures, following director of football Damien Comolli, Communications chief Ian Cotton and the club's head of sports medicine Peter Brukner out of the exit door.